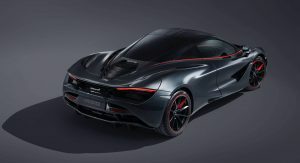 McLaren Special Operations has unveiled its most recent creation, an MSO 720S Stealth Theme based on the 720S Performance. 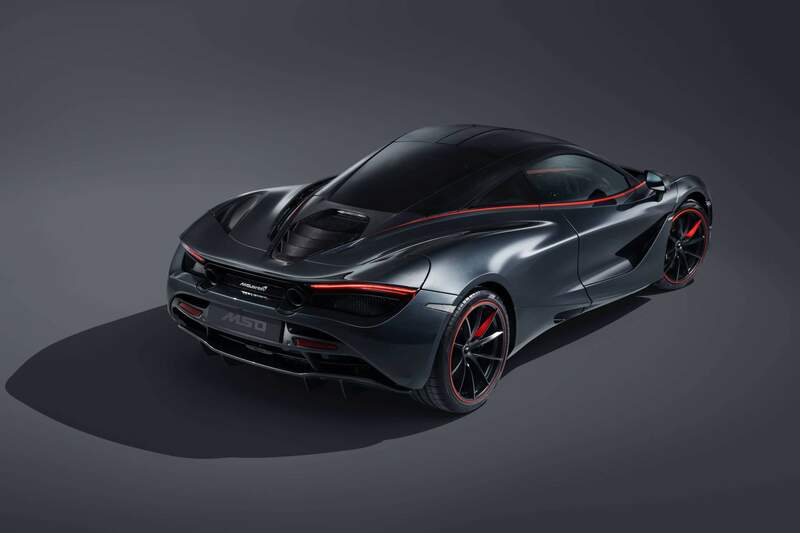 Built as a bespoke order for retailer McLaren London, the highly-personalized 720S is stealthy in name only. That’s because it packs a host of unique features that make it stand out from the crowd even more than usual. Personalized via MSO’s Bespoke services, this particular car embodies the “Stealth” theme previewed at the 2017 Geneva Motor Show. The other three themes (Velocity, Track, and Pacific) have already been brought to life as MSO Bespoke orders. 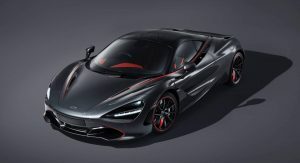 What’s on the menu for the “Stealth” 720S then? For starters, the spectacular MSO Defined Sarthe Grey exterior paint inspired by the Le Mans-winning McLaren F1 GTR from 1995. The color is accented by hand-painted Vermillion Red detailing which accentuates the lines of the bodywork. Painting these red stripes alone took MSO craftspeople almost 200 hours. 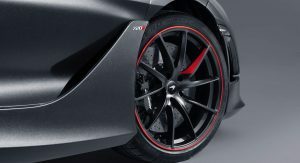 Red accents are also present on the 10-spoke Super Lightweight alloys finished in MSO Bespoke Satin Black. 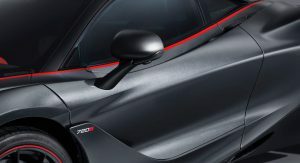 Exterior enhancements are ultimately rounded off by satin finish visual carbon fiber components, which include the front air intakes, door mirror casings, door mirror arms, rear aero bridges, rear deck and service cover, and rear fender air intakes. 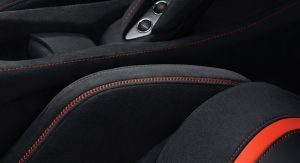 As for the interior, MSO spiced the 720S Performance’s cabin with red leather and Apex Red stitching on the fascia, door panels, and seats. There’s no mention of a performance upgrade but we doubt anybody will mind that. 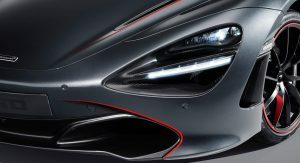 After all, the 720S’ 4.0-liter twin-turbo V8 makes 720 PS (710 hp) and 770 Nm (568 lb-ft) of torque. 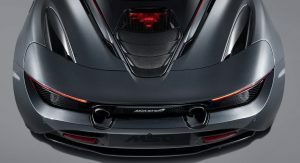 That enables the supercar to sprint from 0 to 100 km/h (0-62 mph) in 2.9 seconds and top out at 341 km/h (212 mph). That stripe that flows alongside the body is absolutely gorgeous. But that single red piece on each rim is not. It will be irritating to me at least when they are not aligned -which will be all the time-. I think it looks awesome tho!